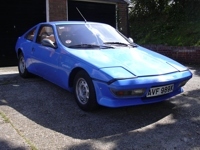 I'm after a spare for my Murena 1.6 - I have factory alloys on the car, but a steel spare would do. I'm based near Stansted Airport. Please let me know what you have got. I've got four, free if you collect, I'm based near Woodbridge, Suffolk. The steel wheels are useful if you want to tighten or undo the rear hub nuts because you can't get a socket on them with the alloys.